Artists Quarter regulars know that vocalists are not booked there all that often, which may see odd given that owner Kenny Horst's mother-in-law is the fabulous torch singer Carole Martin. Carole does get some gigs at the AQ, most notably heading the New Year's Eve party. 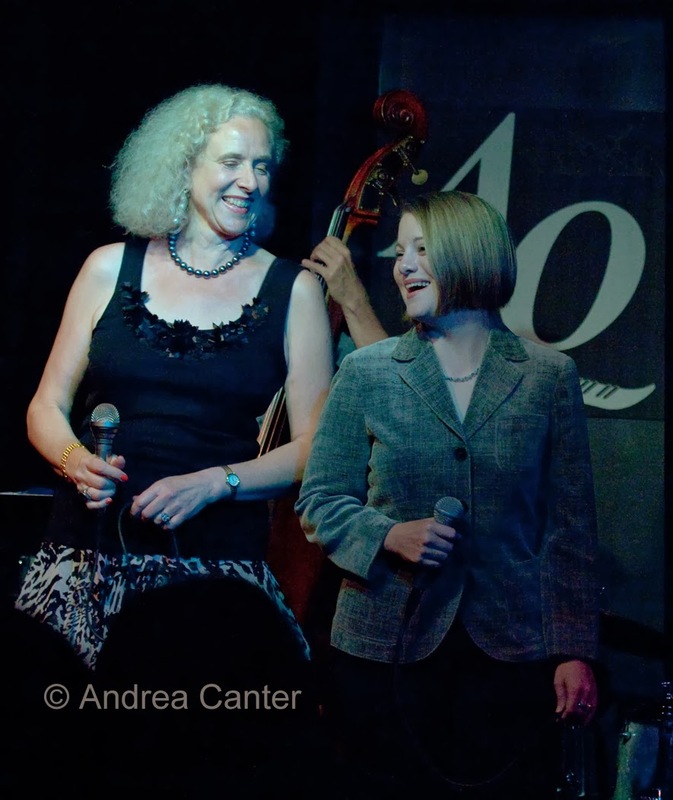 Debbie Duncan and Patty Peterson have sung at the AQ on a quasi-regular basis over the past decade. 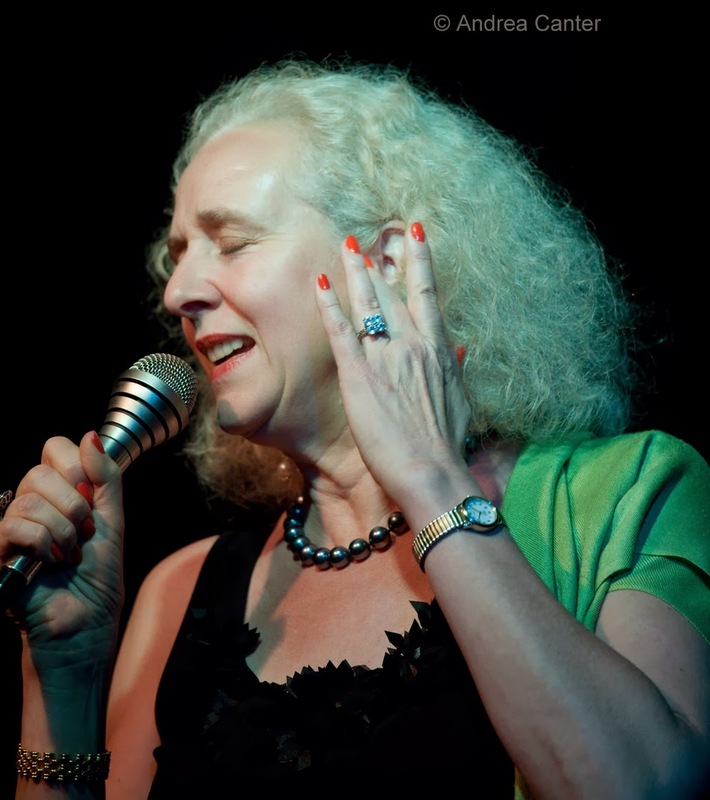 And Lucia Newell has headed a quartet at least a few times each year, sometimes in homage to one of her muses -- from Anita O'Day to Betty Carter. Kenny Horst is very particular about his vocalists. Lucia Newell is pretty particular about her gigs, her musicians, and her material. She can sing it in English, Spanish and Portuguese without blinking an eye - and she has performed in Rio as well as Buenos Ares and Mexico City, and written and translated her own lyrics. The songs of Brazil are particular favorites, and she has joined forces with Joan Griffith and Laura Caviani to present and record classic and original Brazilian music --often at the AQ. 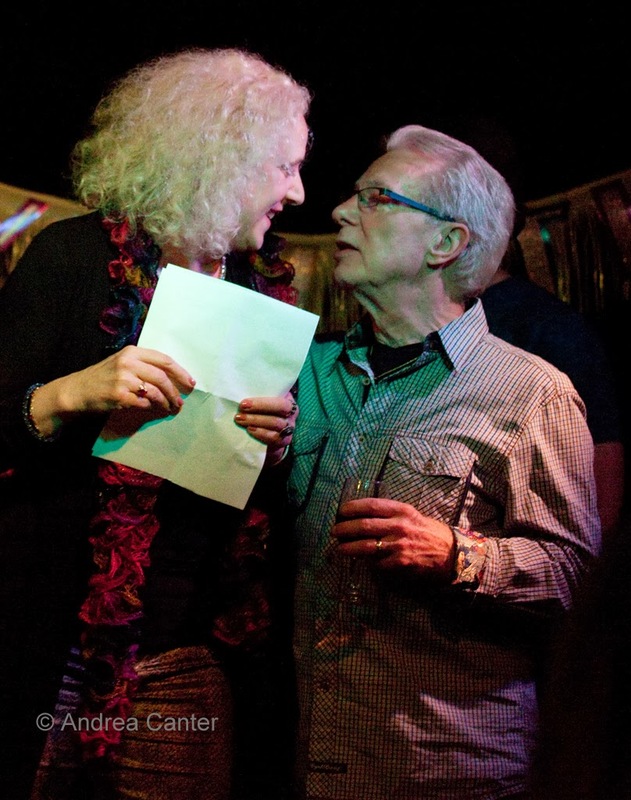 Lucia is also a jazz activitist, most notably in organizing the recent benefit to support Kenny, Dawn and the AQ family as they encounter expenses related to shutting down the club. This was not simply a matter of rounding up the musicians, organizing snacks, managing the staging and scheduling. Which of course Lucia handled without a significant snag. But most important to fans of the AQ, Lucia convinced Kenny to allow the event in the first place. Which you understand if you ever tried to say "no" to Lucia Newell!